A soggy Saturday over Easter became an opportunity to visit the *mostly* indoor National Emergency Services Museum. The museum is in a massive Victorian firehouse in Sheffield. Once you have paid for your ticket you have free entry for a whole year! I don’t like trying to find places to park in Sheffield but there is a reasonable pay and display car park across the road from the building. We had really underestimated how busy the museum would be. I don’t know if this is the norm or if it was due to a combination of it being the Easter holidays and the weather being terrible. We went for a drink in the museum’s cafe but there wasn’t space to sit down. The sitting area for the cafe was very cosy though so would have been relaxing under different circumstances. 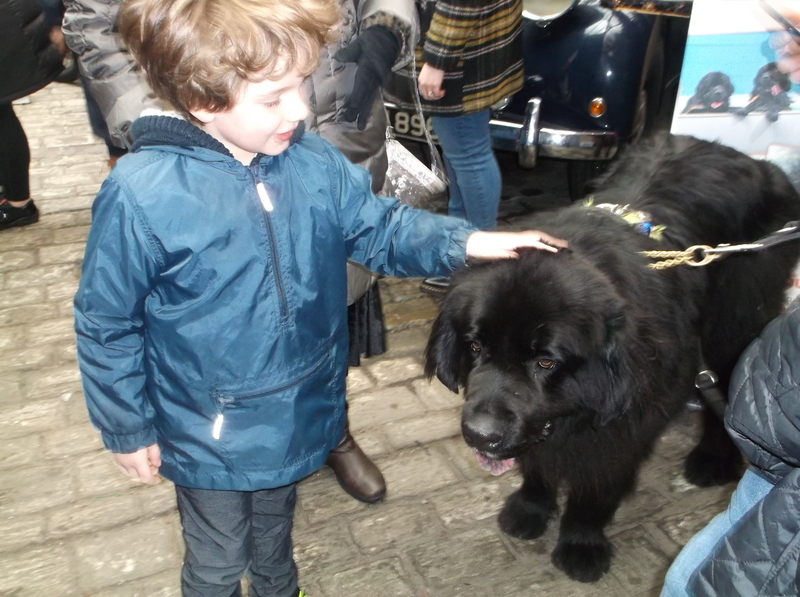 As an added bonus, the museum was holding a special ‘Animals’ event so we got to meet some amazing dogs who assist people with disabilities or help the emergency services with rescues and investigations. On the ground floor were some genuine examples of fire engines, ambulances and police cars from past eras, some of which you could climb onto. 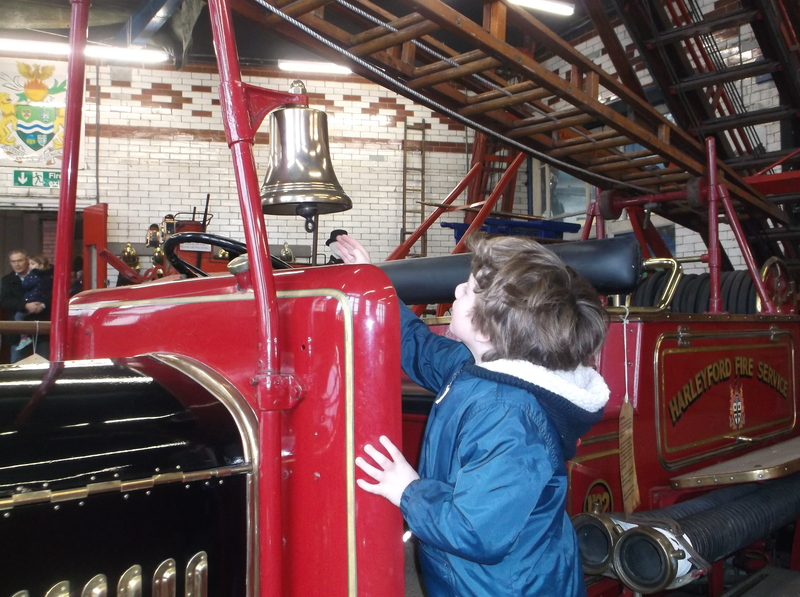 Noah’s highlight was ringing the fire engines’ bells. Around the corner was a small but atmospheric exhibition about Sheffield during the Blitz. We’ve not visited many places yet that have mentioned the war but this little exhibition allowed us to open a dialogue about what life might have been like at the time. Next, Noah was eager to have a look upstairs. As we climbed, it became apparent how high the fireman’s pole next to the staircase reached. The pole is not open to the public but I have heard that on school visits a staff member gets to slide down. Upstairs there are so many things to look at including different styles of helmets. 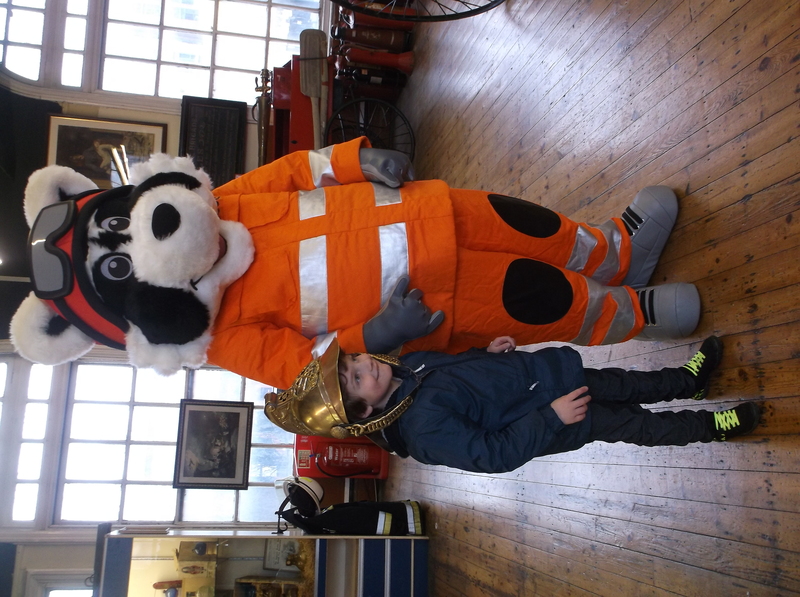 There are also plenty of opportunities to dress up as firefighters. 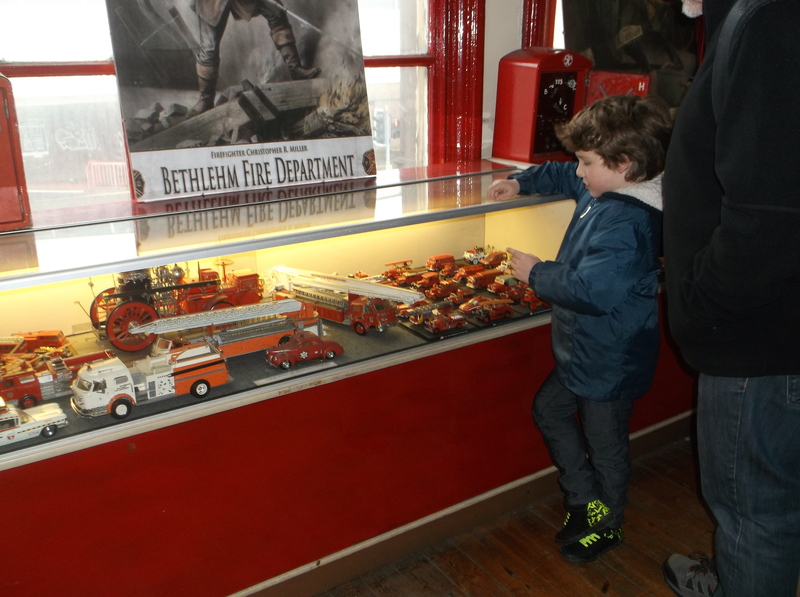 Noah was captivated by the museum’s collection of vintage fire truck toys. At the very top of the museum there are quite a few interactive displays about different divisions of the emergency services. Noah liked the ‘mountain rescue’ room because it had a small climbing wall in it. Everyone had an attempt at this, including Nana and Grandad who had also come for the visit. 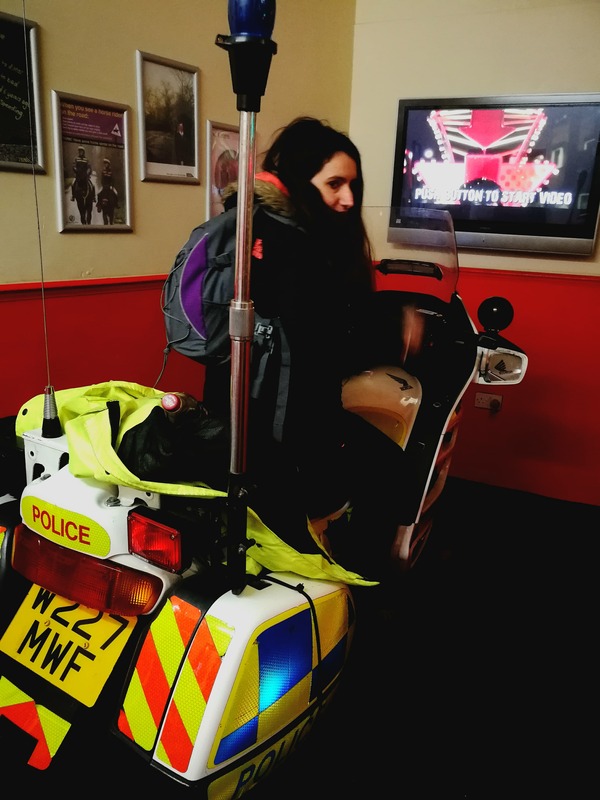 I preferred getting to try out a police motorbike! 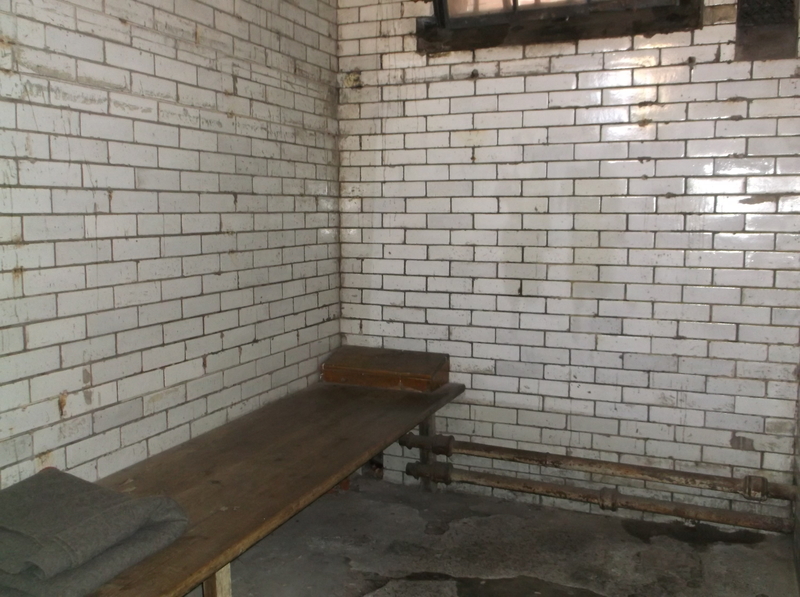 We thought the most interesting part of the museum was the police cells on the ground floor. Noah was pleased to find a member of staff who answered all his questions about what life would have been like in the very smelly cells. All in all, we spent 3 to 4 hours at the National Emergency Services museum. It’s a great option for a half day activity. On weekends, the museum also offers fire engine rides for a small charge. I was disappointed that Noah did not want to do this, but I will persuade him next time around! 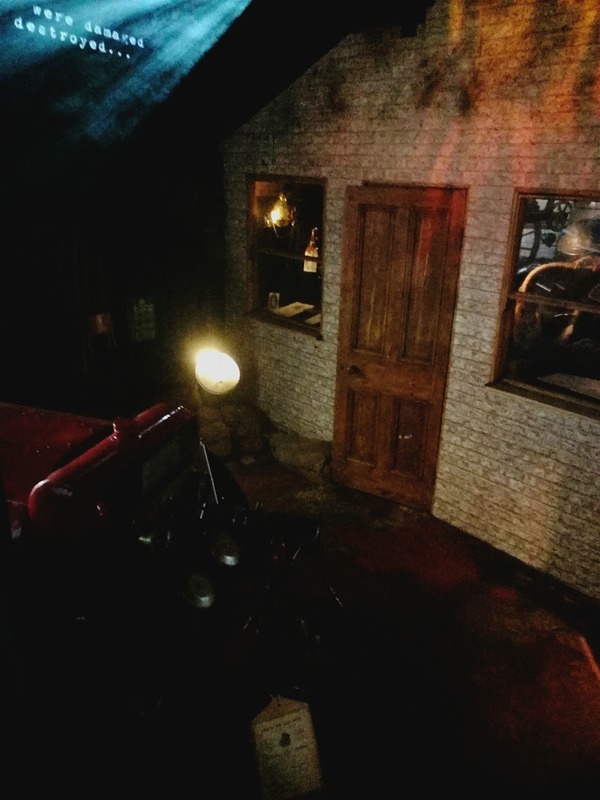 Want to visit the National Emergency Services Museum? Get all the latest opening hours and ticket prices on their website! Like museum visits with kids? Have you tried the Think Tank museum in Birmingham?